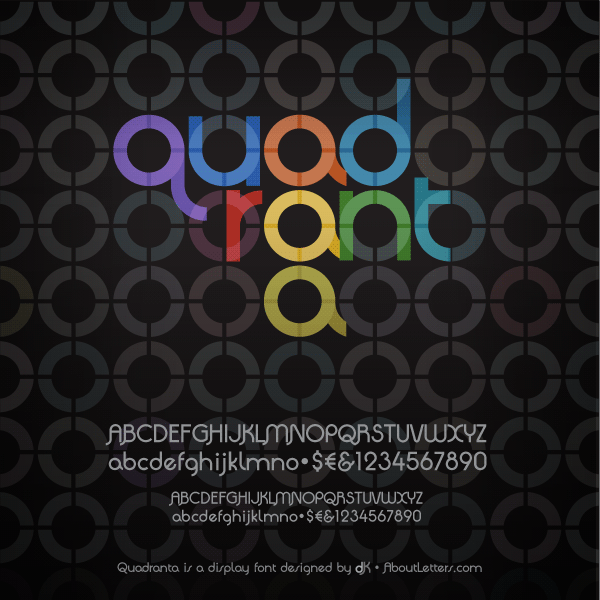 Quadranta is a free font for most commercial uses. However, it is not allowed to embed the font software in applications or websites. Please read the included EULA for more information. If you have further questions, please contact the author at info@aboutletters.com.